from 10 a.m.- 5 pm on Saturday 30th September. Amongst the varied and exciting things which will be happening at the Anima Event is a celebration of the lives of two pioneers in their field who with very different skills have helped us all understand what is happening in the natural world. Eric Ashby: the film-maker and Heathcote Williams the poet and playwright were both moved by an intense love of nature. One was awarded the MBE for his work and one had a bee named after him when he discovered it in the Amazon forests. Eric Ashby (1918 – 2003) shared his love of the New Forest with the world through his wildlife films. He believed that wild animals should be filmed behaving naturally, and his high standards of still photography and film-making in the wild became his hallmark. Eric worked on many wildlife programmes for the BBC natural history unit. He was an extraordinarily patient man, visiting a site on 90 occasions to record just one minute of film about a badger. He was the first to capture the behaviour of badgers in daylight and also developed soundproof camera boxes that allowed him to get close to deer without the animals taking fright. In the early 1960s, his films brought delight and wonder to viewers of the BBC’s popular series Look, which was presented by Sir Peter Scott. So impressed was Scott by Eric’s remarkably intimate close-ups of wild forest animals that he dubbed him the Silent Watcher. It took four years of work for him to shoot enough sequences for his first 45-minute film, The Unknown Forest, which was shown by the BBC in 1961. A unique portrait of real animal lives, it was warmly received by viewers, who were able to see how badgers, deer and foxes in the New Forest behaved. Two years later he filmed The Major, the life story of a village oak tree and the first wildlife film to be shot in colour. Other films followed, among them A Hare’s Life, A Forest Diary and The Private Life Of The Fox. He produced work for The Year of the Deer and At Home With Badgers. There was also a biographical piece, The Silent Watcher. An ardent conservationist, he founded the first local Badger Group in 1969 and was outspoken in his views against hunting. 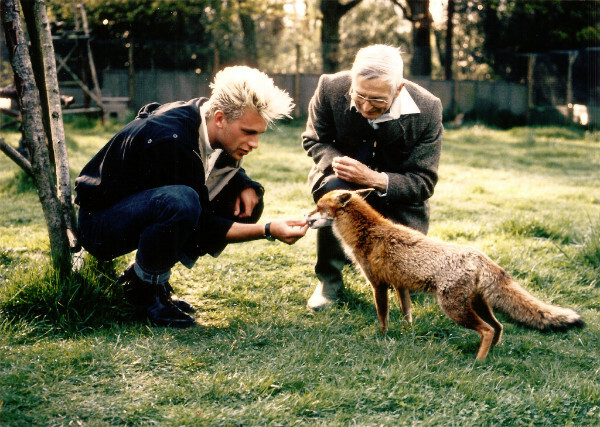 His secluded home in Linwoodbecame a haven for some 30 wild foxes from rescue centres. Visitors from around the world came to see how Eric and his wife Eileen cared for them. They raised a cub called Tigger and told his story in a book My Life With Foxes (2000). Eileen Ashby has made a huge archive of Eric’s work available to support No More Dodos. They will be sold on a stall by Frankie James, a long term friend of Eric and Eileen who will be able to answer questions about this very special man. 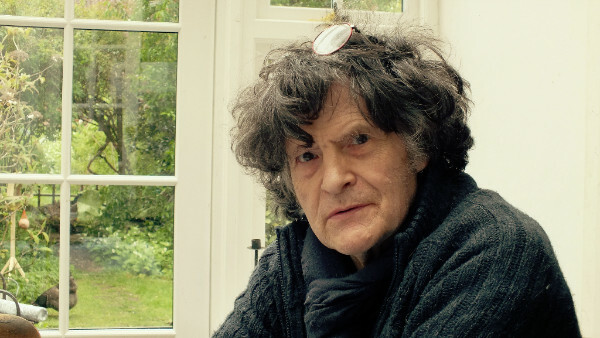 Heathcote Williams, who died in July 2017, was rightly described as a genius in his Guardian obituary. Al Pacino, Harold Pinter, Ted Hughes, Mike Figgis, Derek Jarman, Ralph Steadman , Jeremy Hardy and literally hundreds of other leading figures amongst the arts world found inspiration in his work and can be counted amongst his admirers. He wrote a considerable number of epic poems celebrating animals and the planet and questioning what we are doing to it. The most famous amongst these must be Whale Nation which sold over 100,000 copies and was credited with helping bring about the moratorium on commercial whaling. In typical fashion Heathcote donated all his royalties on the book to Greenpeace. We will be showing performances of a number of his poems on a screen in the art exhibition. This will include The Last Dodo, a poem he wrote inspired by the mission of No More Dodos for whom he was an arts ambassador. Copies of Whale Nation and other books by Heathcote will be on sale. As well as the art exhibition there will be nearly 30 stalls, workshops, talks, films, and lots of good eats which won’t cost the earth. If you are in any way interested in animals and the planet we live on, this should be the day for you..Put it in your diary right away!The Anima Event will benefit the environmental charity No More Dodos, which uniquely uses Art and Sport to inspire individual action to bring about change for the good of the planet.Entrance to Anima is a very affordable suggested donation of £2.50 per person and £5 for a family. This entry was posted on 23 August, 2017 in homepage and tagged Chris Packham, Eric Ashby, Geoff Francis, Heathcote Williams. Bookmark the permalink.